Probably the best thing coming out of Russia at this point in time to these ears is Moscow's Fear Konstruktor, the dark ambient synth project of Nikita Evsuk. 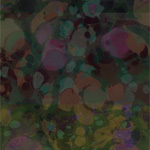 Incredibly deep, dark and meditative ambiance that is often times supplemented by chilling field recordings of birds. This was meant to be released as an LP, but the label backed out, and given his strong showing on the recent collaborative tape with Astro, I could not resist. 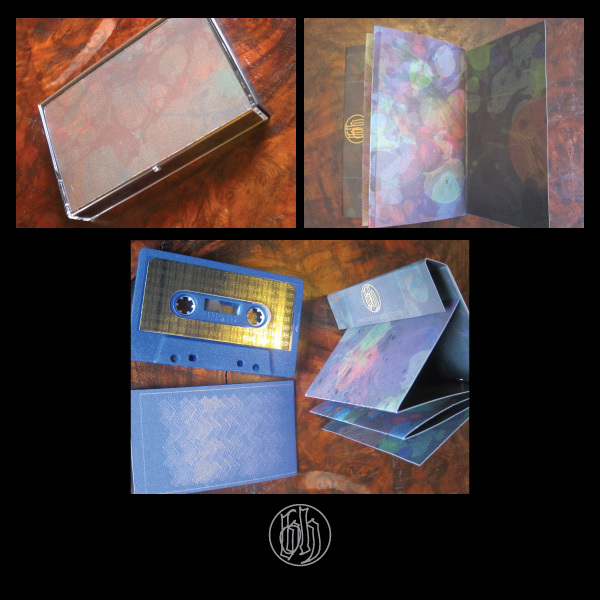 Comes with an offset printed gold ink on metallic blue stock three panel vertical folded insert, and a 8-panel j-card / booklet in ice gold metallic stock with full color digital printing, folded in a maze style of murky hues to get lost in, much like the sounds contained on the tape. Edition of 100 on blue tapes with gold labels.